McNally Accounting provides a wide array of financial accounting services including Tax Preparation, Payroll, Audit & Tax Inquiry Representation, Business Formation / Start-Up assistance, along with a variety of related accounting and bookkeeping services. 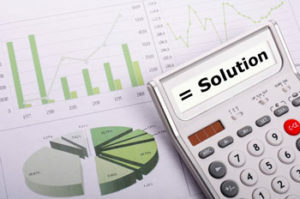 McNally also provides Financial Reporting services at the Compilation and Review levels. Our office provides Accounting and Bookkeeping Services for businesses that range in size from sole-member LLCs to mid-sized companies with multi-state locations. We prepare a wide array of Federal, State and Local tax returns for Individuals, Corporations, Partnerships, Trusts, Estates, Non-Profits, LLCs and LLPs. We stand behind the tax returns we prepare and if you should you find yourself or your business in the unfortunate circumstance of an audit or an inquiry we can represent you so that a fair and accurate outcome is achieved. We provide updated links and resources for various topics like checking on the status of a filed return in PA and NJ, and Federal or Financial resources that can be of benefit to your business needs. We offer answers to some of the most relevant questions here on our website in order to free up our staff to better serve the accounting and financial needs of our clients. If you have questions on directions to our offices, hours, what documents you need to provide for taxes, etc…then please take a look at our FAQs page for quick answers to most of your questions. We tailor our services to your individual or business’s specific needs. Our experience ranges from working on-site with your company’s internal accounting staff as frequently as weekly to meeting periodically throughout the year to help your “one person team” in keeping neat, organized compliant records by whatever means works for you. We truly care for our clients and their well being. We know that taxes can be very stressful, so we strive to make the process and our interaction with clients like yourself a very positive experience. We pride ourselves on excellent service and treating our clients with dignity and respect. (We also expect the same in return).